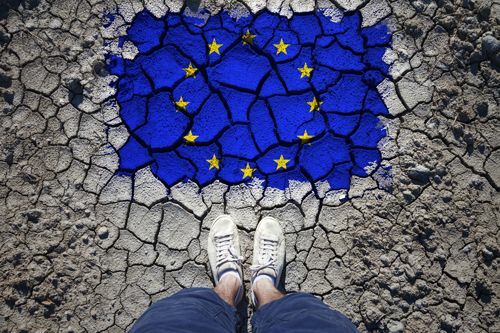 Professor Panos Koutrakos responds to the Parliamentary document, 'The United Kingdom’s Exit from the European Union - Safeguarding the Position of EU Citizens Living in the UK and UK Nationals Living in the EU'. 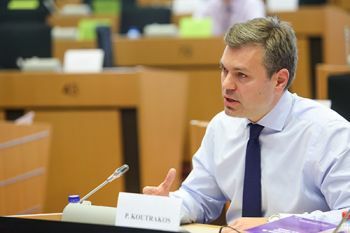 The document was prepared in response to the EU’s position on citizen’s rights (here). The stated objective of the British position is ‘to ensure continuity in the immigration status of EU citizens and their family members resident in the UK before [the UK’s] departure from the EU (including their ability to access benefits and services)’ (par.15). Following Brexit, the right of EU citizens to live, work and continue to enjoy economic and other rights in the UK would not be automatic. Instead, an application to stay would have to be made to the Home Office. This would centre on their residence status which would need to be established by means of a residence document. The main thrust of the British Government’s position is the conferment of settled status on EU citizens. This would be about indefinite leave to remain, and would grant its beneficiaries rights (to work, benefits, pensions, healthcare) that are identical to those of UK nationals. Settled status would be lifelong and would qualify an EU citizen who has acquired it and has also lived in the UK for at least 6 years to apply for UK citizenship. Settled status, however, would be lost if the citizen lived outside the UK for more than two years. If, therefore, an EU citizen who was granted settled status left the UK after Brexit for more than two years and wished to return, she would be subject to the UK’s immigration rules applicable at the time. Settled status would be conferred following an application, and subject to a residence requirement and an assessment that the applicant’s conduct would not pose a threat to the UK. Who may apply for settled status? Settled status would be conferred on EU citizens who have been resident in the UK for 5 years at a cut-off date. The latter has not been specified yet. The Government suggests that it would be no earlier than 29 March 2017, that is the date on which the Article 50 procedure was triggered, and no later than the Brexit date. Citizens who have lived in the UK for less than 5 years would not be deported. Instead, a grace period would be provided, during which they would be able to continue to live and work in the UK. This grace period would enable EU citizens who have lived in the UK for less than 5 years to settle their residence status. 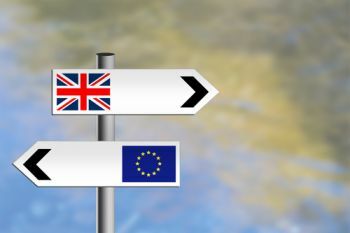 They could do so by applying for either settled status (if they met the 5-year residence requirement during the grace period) or for temporary residence (if they did not meet the 5-year requirement during the grace period, in which case they might wish to stay in the UK until this requirement was met, hence enabling them subsequently to apply for settled status). The above provisions apply to family members who are resident in the UK before Brexit. The term ‘family members’ would cover those currently covered by EU law, such as spouse, civil partner, direct descendants under 21 or dependent, direct dependents in the ascending line. It would also covers both EU and non-EU citizens. Future family members who arrive in the UK after Brexit would not be eligible to apply for settled status. Instead, their status would be determined on the basis of the UK immigration rules applicable at the time. Settled status would provide the right to stay, work, study, look for a job and have access to healthcare, benefits, pensions and social security rules as comparable UK nationals. How does the British position differ from the existing rules? The British position differs from the existing rules on rights enjoyed by EU citizens. The above rights are not automatic but subject to an application process. While the process is envisaged to be ‘as streamlined and user-friendly as possible’ (para. 35), its details remain unclear: for how long would it last? What type of documentary evidence would be required? What fee would be charged? What would the ‘conduct and criminality’ test entail? Recent experience of EU citizens applying for permanent residence and the notorious 85-page application form they had to fill in may justify some scepticism. The Government suggests that this form would be abolished. 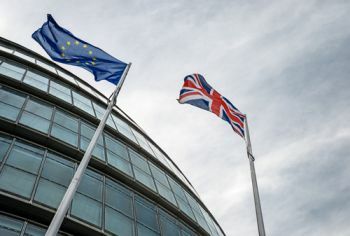 Those EU citizens, however, who have already applied for permanent residence would have to apply again for settled status under the new arrangements. Residence documents would be introduced. EU citizens would need to have their residence status confirmed and to apply to the authorities accordingly. The Government’s position does not specify the type of residence document that would be required (the introduction of identity cards has not been ruled out). EU citizens would be deprived of their right to bring future family members in the UK under the conditions that they enjoy currently. This is a significant change in their position, as rules imposing income tests and language requirements would apply. The British position excludes the jurisdiction of the European Court of Justice. Instead,the proposed arrangements would be supervised by domestic courts, hence removing a layer of judicial protection that is currently available to EU citizens. Under existing EU law, EU citizens may have recourse to domestic courts which are bound by EU law and which may, and in certain cases must, refer to the Court of Justice for the interpretation of EU rules. In fact, the Court has been instrumental in the development of the rights of EU citizens who benefit from free movement. The British position does not define the cut-off date on the basis of which settled status would be granted. Instead, it suggests that it would be a date between the triggering of the Article 50 procedure, that is 29 March 2017, and Brexit, that is either 30 March 2019 or any subsequent date, provided that an extension has been agreed upon by the European Council unanimously in accordance with Article 50 TEU. There is lack of detail regarding various aspects of EU citizens’ rights (for instance, frontier workers and the rights of EU students who complete their degrees in the UK). It is worth recalling that the British position is subject to an overarching qualification, that is, reciprocity. This suggests, however, that the rights of UK citizens living in the EU would also be affected along the above terms. Does the British position give any ground? There are certain issues over which the British position appears to abandon long-held opposition to certain aspects of EU citizens’ rights. The exportability of child benefit would be maintained, subject to on-going entitlement. It is recalled that former Prime Minister David Cameron tried very hard to change the rules prior to the June 2016 referendum. The UK would maintain the current provisions about exporting and uprating the statepension within the EU. The current rules on mutual recognition of professional qualifications be maintained and the UK would recognise the right of professionals whose qualifications have been recognised to practice on the basis of non-discrimination. The requirement for comprehensive sickness insurance, necessary under EU law for economically non-active citizens, would no longer be relevant to the determination of continuous residence. First, the British position envisages a deeply proceduralised mechanism. Checking and confirming the residence status of more than 3m people who would meet different conditions and whose circumstances would vary considerably would impose a heavy burden on the administrative machinery of the Government. This would be all the more so given the time constraints envisaged. There is concern that an unwieldy process might cause uncertainty, delays, and end up frustrating the rights of EU citizens. Second, the crucial question is how the rights of EU citizens would be construed in practice. This applies not only to the right to reside but mainly to other rights, including work, healthcare and benefits. A case in point is our experience with Directive 2004/38 on the right of citizens of the Union and their family members to move and reside freely within the territory of the Member States. The Court of Justice has been instrumental in the effectiveness of the rights laid down in EU law (and part of which the UK seeks to maintain). Put differently, the significance of the rights granted to EU citizens is directly linked to the interpretation and enforcement of these rights. This touches upon the fundamental difference between the UK’s and the EU’s approach as to the dispute settlement mechanism that would govern the withdrawal agreement. ‘More ambition, clarity and guarantees needed than in today’s UK position’ (here). Negotiations between the UK and the EU have only just started. The British position on citizens’ rights is, therefore, a first step, in response to the Union’s earlier position. As the status of EU citizens in the UK is one of the issues on which ‘sufficient progress’ must be made for negotiations to proceed to the next phase (here), more detail should be expected to emerge before too long. The Council of Ministers, typically referred to as just 'the Council', is the EU's main decision-making and legislative body. In conjunction with the European Parliament, the Council of Ministers forms the EU's legislature. The Council of Ministers should not be confused either with the European Council or the Council of Europe.